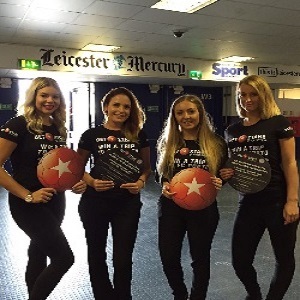 Hire Experienced Professional UK Event Staff Today! Hire Experienced Professional Event Staff Today! Pitlane agency supplies experienced reliable event staff to thousands of events, exhibitions road shows and conferences across the entire UK. We set up our event staffing agency in 2010 and we now have more than 4,000 event staff in all major towns and cities. This enables us to only use staff who are local to your event which means you are not paying increased rates for travel or accommodation. You can always contact our agency 24/7, whilst your working at an event, we are working! At Pitlane Agency we love our job, as do our staff. We really understand what our clients and those organising events need which we discuss with our clients in depth at quotation stage. Our main goal is to make life easy for our clients. We are fast, flexible and happy to adapt last minute when required. We understand that it just isn’t about how your event staff look, they need to have the skills and personality to carry out the duties required of them. We wouldn’t book a model to do any heavy lifting and we wouldn’t book a strong man to be a Grid Girl ? We have very high client retention, this is because of two things. We book the right people for the job and we believe we offer an excellent customer experience. Get a quote for event staff! 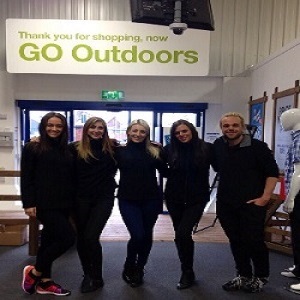 We supply event staff in any numbers from one person for a few hours for an exhibition to a whole team of event staff for a nationwide marketing campaign. So if you would like to discuss your requirements or just find out how much it cost, you can complete the form below or give us a call on 0844 800 0071.